That Johann Sebastian Bach as Cantor at St Thomas Church in Leipzig was expected to provide the churchgoers with suitably impressive musical performances each Sunday and Feast day is quite widely known. Fewer will be aware of the fact that the post as director of the city's Collegium Musicum, which he held from 1729, in some ways was just as demanding and time-consuming. Weekly concerts all year round – and twice-weekly during the three busy fair periods (New Year, Easter and Michaelmas) – meant that Bach during his ten years as director spent far more time performing secular instrumental music in Zimmermann's coffee house – the usual concert venue – than cantatas in church. As with his church duties, Bach will also have been expected to provide repertoire for the ensemble, composing as well as arranging music by others and himself for it. Among such works will have been his various harpsichord concertos: with Bach's great reputation as a keyboard virtuoso, it is not difficult to imagine the demand by the Leipzig audiences to see their local hero shine on the stage. 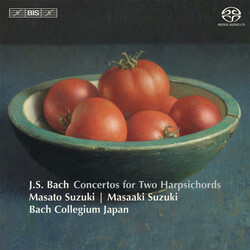 Three double concertos for harpsichord by Bach survive, all dating from around 1736, and all arrangements of earlier compositions. BWV 1060 is thought to have originated as a now lost double concerto for oboe and violin, while BWV 1062 is a reworking of the well-loved concerto for two violins. Unlike these two works, BWV 1061 was composed for two harpsichords from the outset, but probably started out as a concerto without orchestral accompaniment – this is believed to have been added later. Performing these works, with a quintet of string players from the Bach Collegium Japan, Masaaki Suzuki is joined by his son Masato. 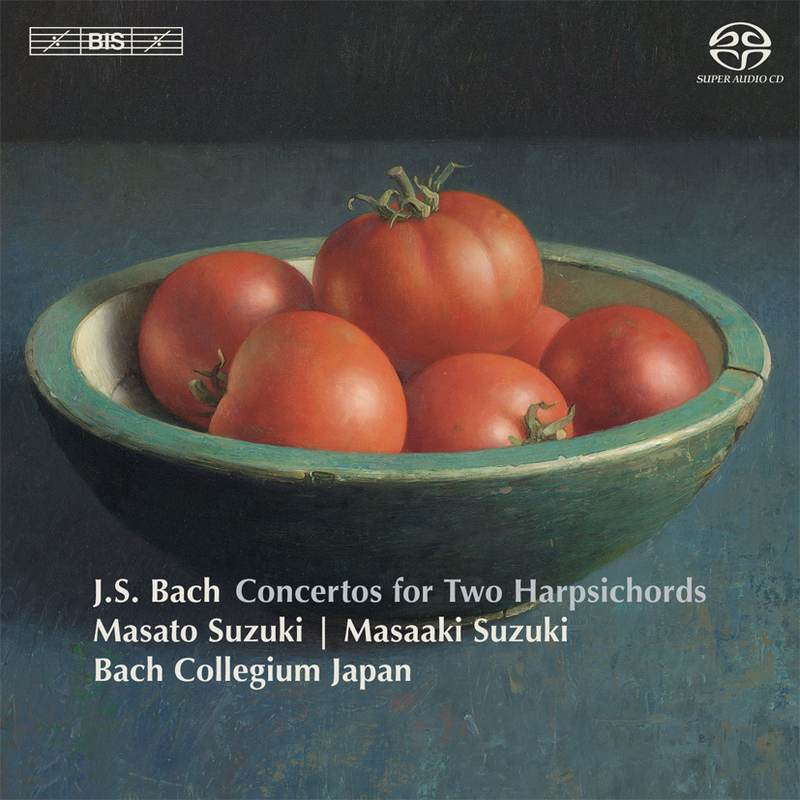 For the present disc Masato Suzuki has also taken a page from Bach’s own book, in arranging the composer’s Orchestral Suite No.1 for two unaccompanied harpsichords.